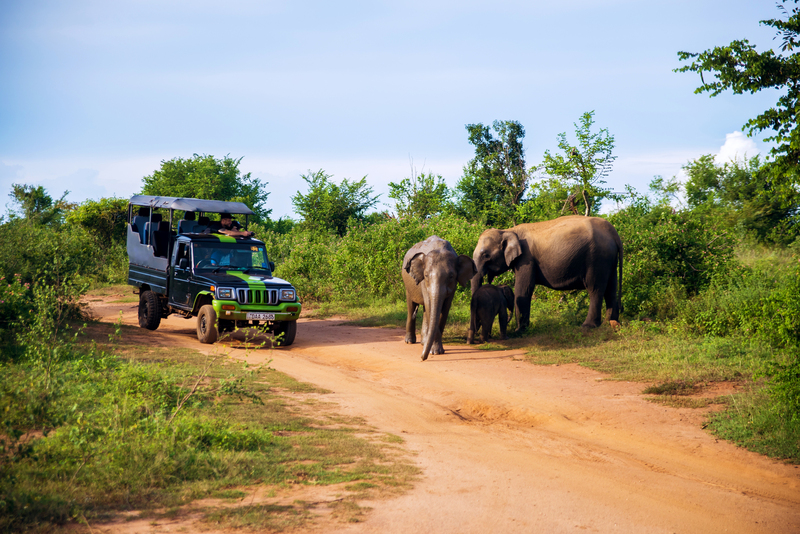 On Sri Lanka Experience, you’ll see a whole new way of life. You’ll barter with the fisherman in the Negombo markets, get a cooking lesson from the locals in Sigiriya, teach an English class to Buddhist children in Galle, and of course join in a game of Cricket on the beach. Kick back. Because on Sri Lanka Experience you’ll stay in style. Get ready for high rise hotels, beachfront villas, and incredible ‘glamping’ resorts. Every stop from the bustling city to the Asian safari, we’ve got you covered. Best of all, the reservations are all made for you and it’s all included! Sri Lanka Experience gives you the opportunity to fully immerse yourself in this incredible corner of the world. Wandering the ancient temples, playing cricket with the locals, and tasting the cuisine, you’ll make memories that will last a lifetime. Visiting 10 epic locations around the country, you’ll spend some time on the Sri Lankan road. But on Sri Lanka experience, the journey is part of the adventure. You’ll get around on rowboats, tuk-tuks, and the ‘World’s Most Scenic Train Ride’. On Sri Lanka Experience, you’ll learn so many things that you will carry with you your whole life. One of the best will be learning how to surf. On the crystal blue water of Weligama beach, local surfers will teach you how to master the waves. Afterwards, head out with the gang for drinks at the bar. Our tour group leaders are some of the friendliest and most capable people you’ll meet. Your Sri Lanka Experience guide will give you the local know-how, manage all the logistics, and most of all, be your new best friend and personal photographer. On Sri Lanka Experience, we’ve got you covered. With 12 days of epic activities, accommodation, transportation, heaps of meals, and an awesome group leader all included, all you have to do is have the time of your life. Ready to start your adventure in Sri Lanka? Check out Sri Lanka Experience!